A board of lovely gingerbread ladies and teddies! 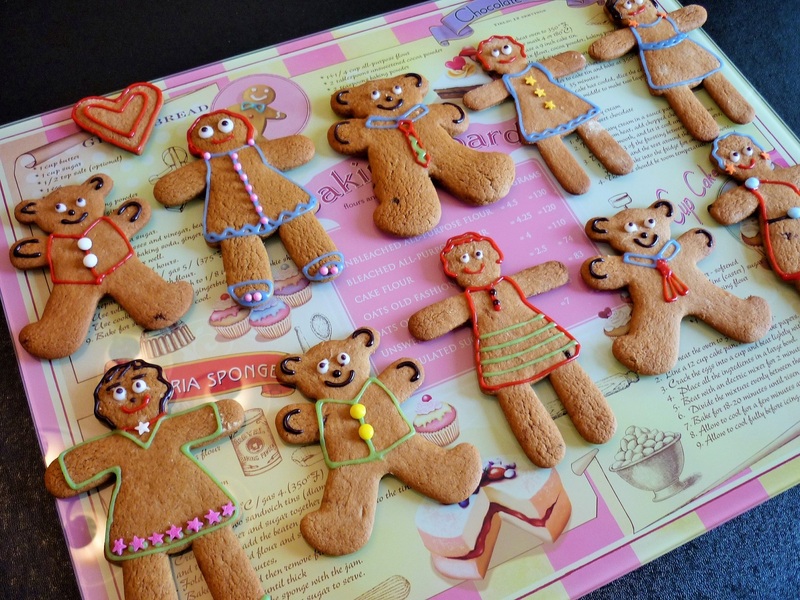 Making and decorating gingerbread men is fun for kids of all ages! I had planned to make gingerbread men, but then discovered that my cutters were for women and teddy bears!